When you now, you know. 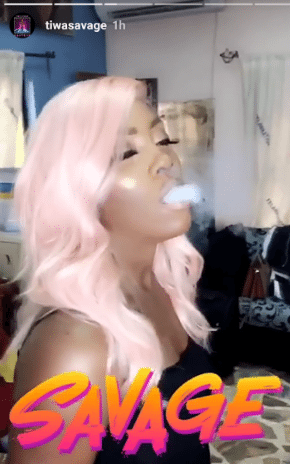 Mavin queen Tiwa Savage, brought her smoking game on strong at a recent music video shoot which saw her puffing away as an expert should. 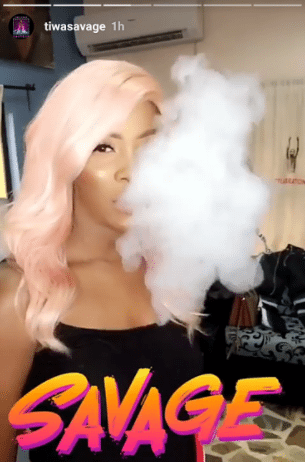 The mom of one, who has for a while been pictured doing some smoking while out in clubs had the word SAVAGE inscribed on the photos shared.